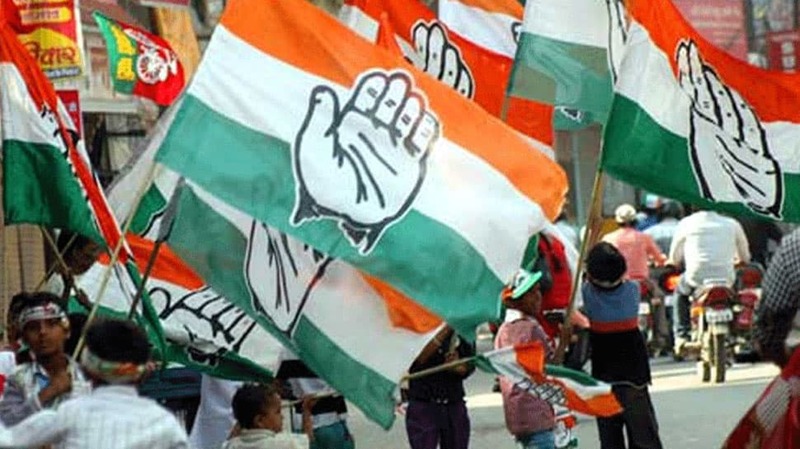 The Congress on Thursday released the names of three candidates for the Lok Sabha election and 45 candidates for Assembly election in Andhra Pradesh. The party has fielded Ramana Kumari Pedada from Visakhapatnam, Naraharasetti Narasimha Rao from Vijayawada and J Lakshmi Narasimha Yadav from Nandyal Lok Sabha constituencies. For Assembly election, the Congress has given to ticket to Vijjiparthi Srinivas Rao (In place of Pridi Bhagat) from Visakhapatnam East, Haidhar Adi Sinka from Visakhapatnam South, Gompa Govindha Raju from Visakhapatnam North and Piridi Bhagat from Visakhapatnam West. Illa Rama Gandhara Rao will fight on Congress ticket from Anakapalle Assembly seat, while Venkata Srinivasa Rao (In place of Pantham Indira) will contest from Pithapuram Medidi. The candidate from Ramachandrapuram is Isukapatla Satish Kumar (In place of Musini Ramkrishna) and Musini Rama Krishna Rao has been given ticket from Kothapeta. From Bhimavaram, Sekhar Babu Dora Babu will contest on Congress ticket, while B.D.Ravikumar will be Congress’ candidate from Nuziveedu. Ratna Kumar will be Congress candidate from Vijayawada west, V.Gurunadham from Vijayawada Central, Ponugupati Nancharayya from Vijayawada East, Padimidi Nageswarao from Pedakurapadu, Chilak Vijay Kumar from Tadikonda – SC, Jakka Naga Srinivasa Vara Prasad from Ponnur, Mopidevi Srinivas Rao from Repalle, Mohiddin Baig from Bapatla, Savaram Rohit from Guntur West, Jagan Mohan Reddy from Guntur East, Chandra Pal from Sattenapalle and Vinukonda Atluri Vijay Kumar from Altbar.